When it comes to exchange listing, XRP cryptocurrency stands stronger. Following ‘Rain’ a Shariah-compliant crypto exchange’s announcement of listing XRP, two more exchanges confirmed XRP trading support on their platforms – CODEX Crypto Exchange and Bitbuy Canadian Exchange. An Estonian based crypto exchange, CODEX published a blog on March 21, detailing that they’re listing XRP cryptocurrency on their trading platform. Although the market is still decent, many market players are seeing XRP as a potential cryptocurrency. As such, CODEX cryptocurrency exchange announced that the third largest cryptocurrency, XRP is now available for trading with BTC and USDT trading pairs. CODEX users can use BTC or USDT to buy, sell or trade XRP on CODEX platform. Beside CODEX, yet another trading platform, Bitbuy listed XRP. Bitbuy is the Canadian based digital asset exchange which is now offering XRP trading with CAD trading pair. However, the firm intends to list XRP with BTC trading pair in near future. 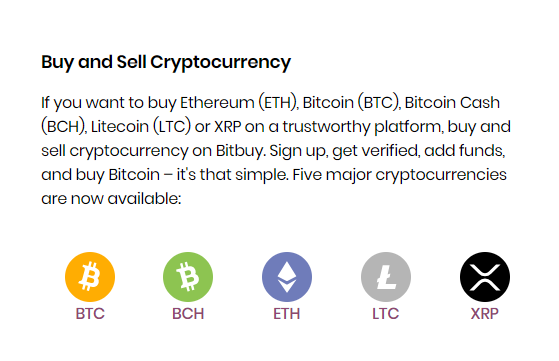 As per Bitbuy’s official website, the exchange at present supporting five cryptocurrencies including Bitcoin (BTC), Bitcoin Cash (BCH), Ethereum (ETH), Litecoin (LTC), and XRP (XRP being added recently). The post CODEX Crypto Exchange and Bitbuy Canadian Exchange Adds XRP Trading Support appeared first on Latest Ripple (XRP) News & Price Analysis.